Ever since watching a painfully tedious music set by a man and his computer opening for the Melvins a couple of years ago in Seattle, my appreciation for music constructed with little more than a laptop has been ambivalent, to say the least. The only thing saving his computerized set was the lead singer of Melt Banana, Yasuko Onuki, who danced gleefully in an oversized rabbit suit behind his skinny bouncing corduroy-encased rump. Lymbyc System, however, does not focus on fruity loops in the construction of their compositions. They combine their use of computer samples with drums, keys, and analog effects to create a veritable music cornucopia. They weave sounds together like twine, interlacing them to create ambient melodies which somehow manage to be both intricate and catchy. However, their catchiness is not like that of, say, Ratatat, whose digitalized music sags under the lack of a lead singer. 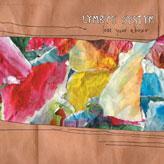 Lymbyc Systym rather thrives under singerless-conditions. Their compositions are dark and melodic, conjuring perhaps Godspeed You! Black Emperor. Certainly the first track harkens to this apocalyptic nature. Entitled “Rest Easy/Age Kindly,” the constant chimes give way to a fuzzy chorus of what sounds like a muzzled string orchestra, creating a melody both chaotic and calculating. Although they may have trouble gleaning radio airtime for their efforts because of the continuous nature of the album (it would be difficult to listen to only one track from Love Your Abuser with satisfaction – the disc needs to be listened to the whole way through in order to truly appreciate it), they should have no problem nurturing a devoted fan base. Radiohead and Bjork, after all, have managed to thrive despite their tenacious refusal to adhere to a more traditional radio-friendly song structure. In a way, the cover of Love Your Abuser describes their music perfectly. The shreds of paper would seem meaningless singly, but combine to form a cohesive work of art. Their music, too, is constructed of tiny melodic shards, pieced together to form a delicately woven symphonic collage; which, in concert, may even draw my attention away from a dancing rabbit.